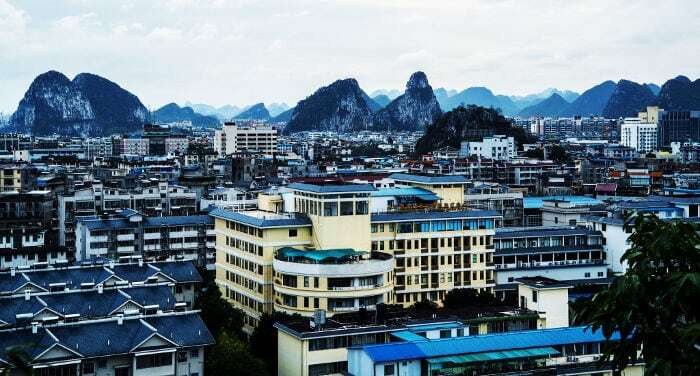 Are you familiar with the karst hills of Guilin and Yangshuo? If not it’s simple: if you’re in China take out a 20 Yuan banknote and look at its printed design! These hills, which are unique in the world follow one after another, similar to mushrooms that sprout from the bowels of the earth to offer us trails that cross each other in an infinite and surreal manner, looking more like a child’s drawing than the incredible work of mother nature. If paradise exists and has various forms, this is surely one of its best views on earth and if you find yourself in China, a visit of several days in these places is an absolute mus..
You already know how to get to Guilin. And if it’s still not clear, have a look at this guide. 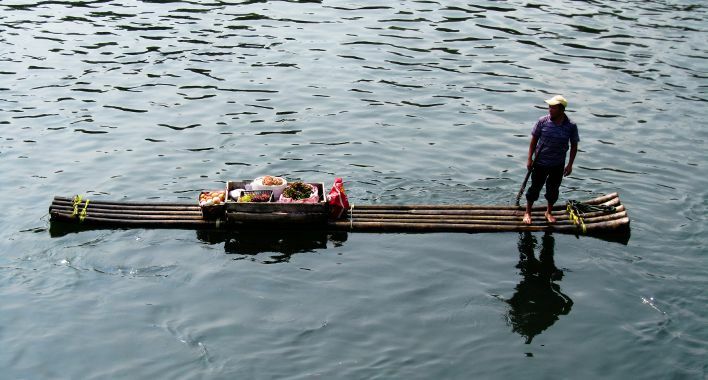 How to avoid swallowing the bait and staying only in this congested city, preferring instead smaller Yangshuo and its surrounds, you will certainly learn it from Furio’s (mis)adventures. 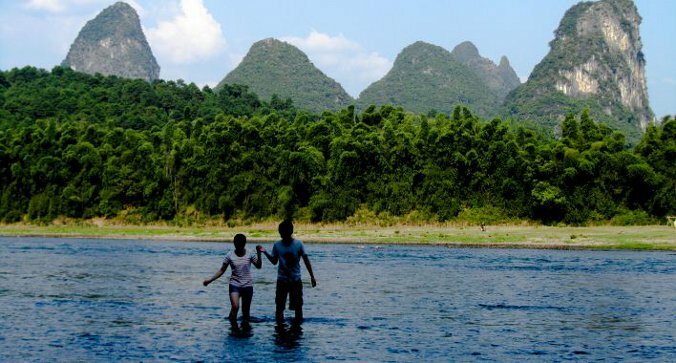 Guilin is one of the top touristic destinations in China. For this reason there’re hundreds of hotels and choosing the right one might be difficult. Here we selected some of the best hotels in the city to make your choice easier. Remember to book in advance, because this hotels get easily full booked. 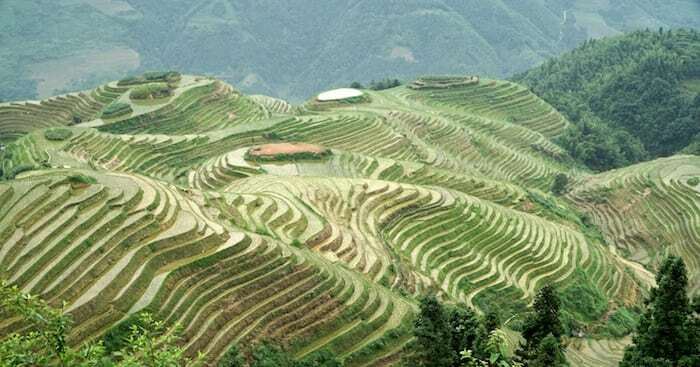 If you plan to visit the rice terraces of Guanxi Province, at the end of the article you’ll find also some spectacular hotels in the district of Longsheng. If you want some general tips about booking a hotel in China, you may want to read this article. 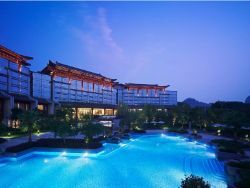 the Shangri-La Hotel, Guilin is a luxurious hotel overlooking the Li River and offering beautiful view of the city along with deluxe amenities and services. The hotel is located at 4.5 km from the city center and provides easy access to city’s must-visit destinations. This hotel offers top-notch facilities and very friendly staff that speak fluent English. Free Wi-Fi in all rooms and public areas allow the guests to stay connected to their social world. Famous places like Seven-Star Park, Shan Hu, Elephant Trunk Hill, all within 4 km from the hotel. The hotel also has special facilities for disabled guests. Wanna know a funny thing? Everybody talks about Guilin and the Guilin cruise. However if you want to get lost within the world famous hills of Guangxi Province you better stay in Yangshuo, the arrival point of the Li River cruise. And this is exactly what I did. I arrived to the train station of Guilin from Chengdu, took the cruise and ended up in Yangshuo, where I spent two nights. Guilin, in Guangxi Province, is one of most popular touristic destination in China as it’s the starting point of the cruise on the Li River – which is surrounded by impressive limestone formations – that ends up in Yangshuo. The easiest way to reach Guilin is by plane as there are flights from about any Chinese major city. Also, there are flights from Hong Kong, Kuala Lumpur, Bangkok, Osaka and Seoul. The airport is a bit far from the downtown so expect to pay about 100 yuan for a taxi’s ride. You can also take the shuttle bus (20 yuan) and then a taxi to downtown as the bus will stop on the South of the downtown.